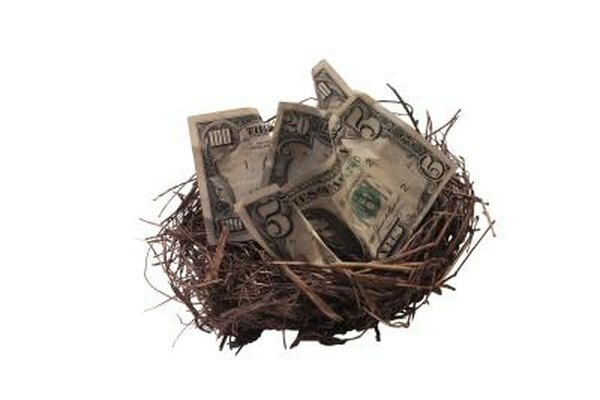 Your nest egg is protected to a certain extent from collection activities. 2. Can an IRA Be Seized in New Jersey? 3. Is a Retirement Plan Safe From a Lawsuit? Your Roth IRA is not necessarily safe from collectors, but it’ll take a lot of effort on the creditor’s part to get his hands on your funds. The federal and state governments understand that your Roth IRA is crucial to your ability to provide for yourself upon retirement. As such, certain protections have been placed against most creditors from being able to access all of your Roth IRA. Employer-sponsored retirement plans, such as 401(k) and 403(b) plans, are protected under the Employee Retirement Income Security Act of 1974, commonly known as ERISA. The federal government established this Act to ensure that working Americans' retirement funds will be ready and waiting for them upon retirement. The name of the Act defines why IRAs are not covered by ERISA and do not receive the same protections: IRAs are “individual” not “employee” retirement plans that a person sets up on his own, independent of his employer. Consequently, Roth IRAs do not receive collector protection under ERISA. ERISA aside, both the federal and state governments have set some form of protection for Roth IRAs from creditors, and where you are at financially determines which protection you fall under. If you have hit very hard times and been forced to file bankruptcy, your Roth IRA is protected up to $1 million from collection efforts under federal law. If you haven’t filed for bankruptcy, whether collectors can attach your Roth IRA depends on your state’s law. New York, for example, will not allow creditors to attach IRA funds if they remain in the account; collectors might be able to attach withdrawals, however. Nevada protects assets up to $500,000, and California courts determine whether IRA accounts can be levied in a court proceeding on a case-by-case basis, according to the The New York Times. You must check your individual state’s laws to see how your Roth IRA is protected from collection activity. Of course, there are exceptions to every rule, and the number one exception as to whom can collect against your Roth IRA is the Internal Revenue Service. The IRS has the right to collect against your Roth IRA for back taxes. Yes, they must go through the official federal lien and levy process just like any other creditor, but the IRS is not exempt from levying your Roth IRA like other collectors might be. Another exception is family support. Your state can issue a qualified domestic relations order against you if you owe back family and/or child support and your retirement plan -- IRA or employer ERISA -- is not exempt from this type of collection activity. With the current federal and state legislation in place, your Roth IRA is protected, at least in part, from most collectors. The type of debt owed and where you live are the final authority on whether your Roth can be levied, unless you’re under bankruptcy protection. If you’re hitting a rough patch in the road, talk to your creditors and work out arrangements to continue to responsibly handle your debt; this might be the only full-proof way to avoid your Roth IRA being collected against. Nolo: Is My Retirement Plan Protected From Creditors?